The cool weather at the end of May was a blessing. 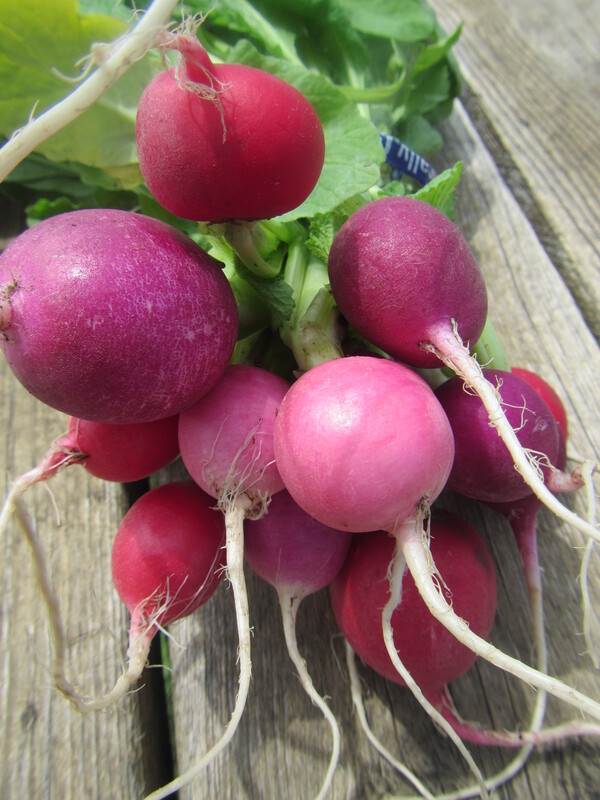 We used the time to get many transplants into the soil. They did not suffer as much “transplant shock” as they would have during warmer weather. It also gave me an excuse not to weed everyday which was its own kind of sweetness. 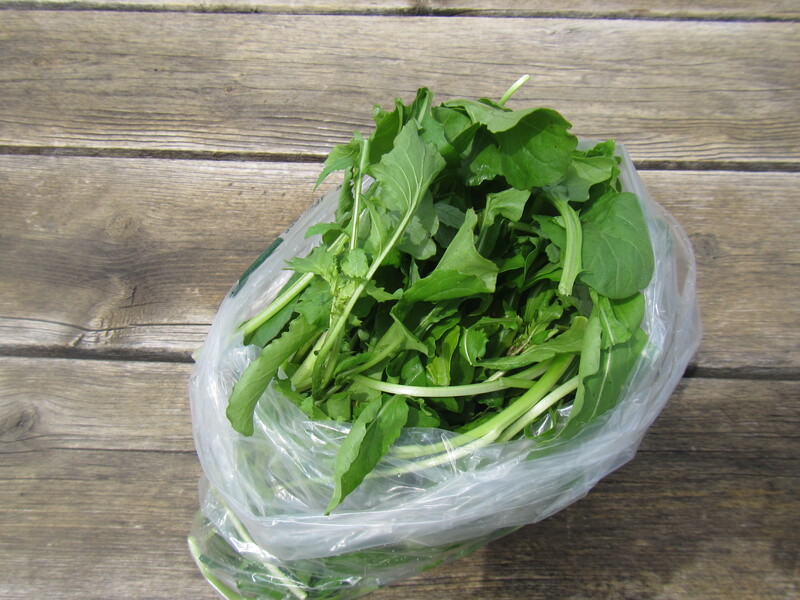 Leafy greens do very well in moist, cool conditions, so your bag of goods is packed full this week. Depending on the heat this weekend some of these crops may bolt (divert their energy from the tender leaves into flowering stalks and reproduction). Please note that the full shares have a green sticker whereas the small shares are unmarked. These beauties are crunchy, juicy and not at all hot. There are several different Asian greens on the market these days. Apparently people are getting the memo that they are good for your health. Fortunately this one tastes good too. 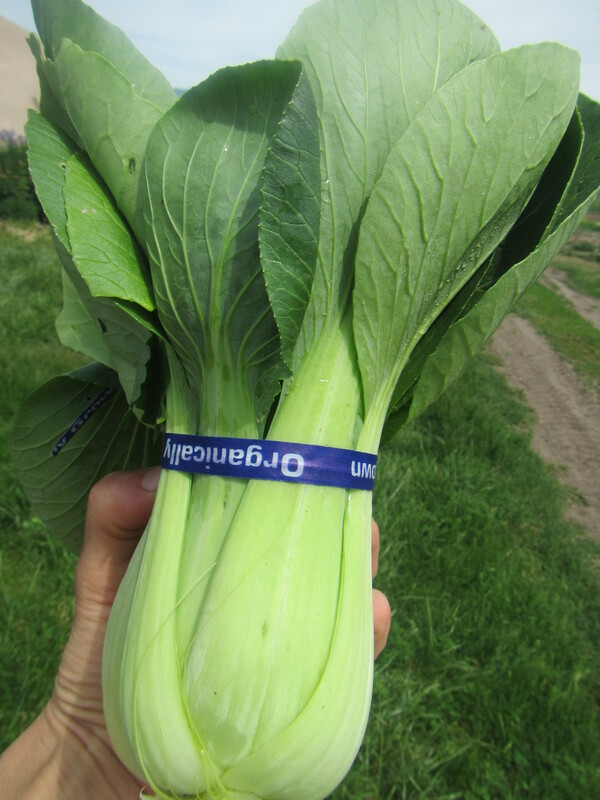 Pac choi, also known as pak choi and bok choi – don’t ask me, that’s what the seed catalog says – is a mild flavored mustard green often used in stir fries. I like adding it to a salad to give it an extra crunch. Another Asian green! Also used in stir fries and salads. This one has a stronger flavor. 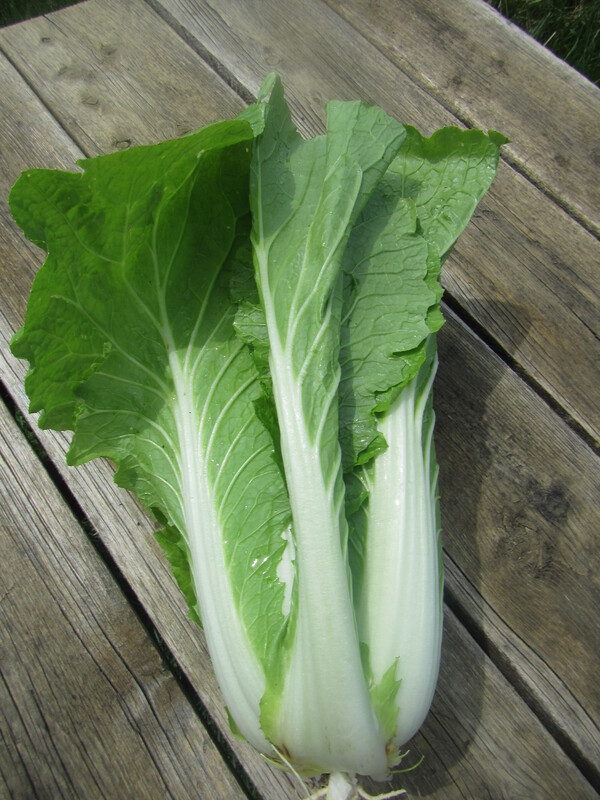 Napa cabbage also called Chinese cabbage has a mild flavor and keeps well in the refrigerator. 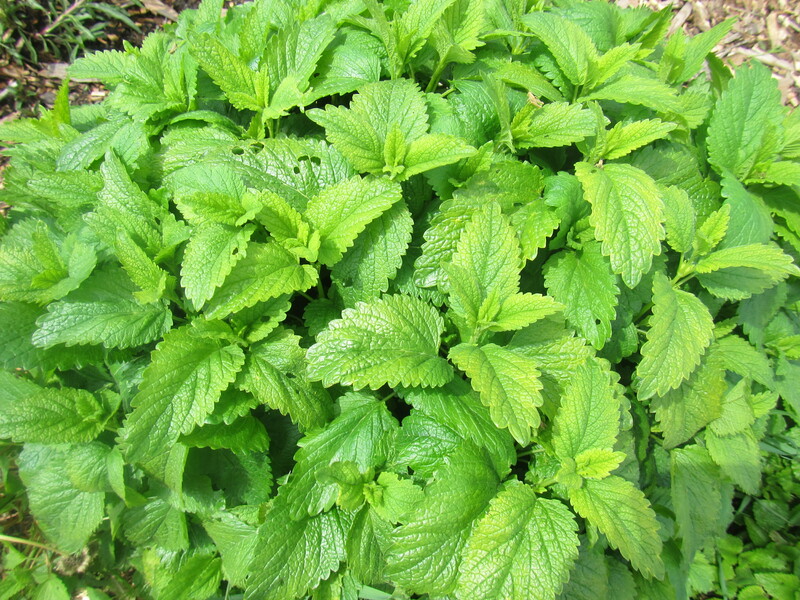 Lemon balm is one of my favorite herbs, a mild lemony (obviously) flavor, this makes a nice tea, or finely chopped, a nice addition to salads. This herb is reputed for its calming properties, and blends well with other herbs. To dry tie into a bundle and hang in a cool, shaded, airy place. A closet or pantry could serve well. 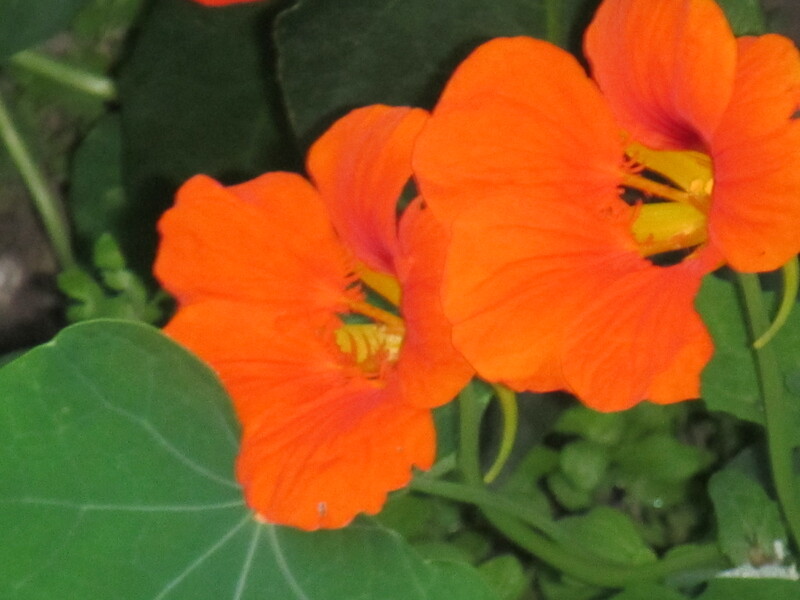 Salad mix with nasturtium blossoms. Yes, you can eat the flowers, that is the best part! Spicy and sweet all in one bite. 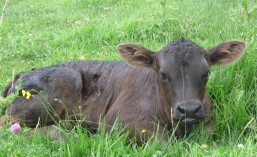 Another mustard green! This one is the most flavorful. Again, it can be eaten raw or slightly cooked. Makes pretty tasty pesto, substitute it for basil in your favorite recipe, or check out this one from thekitchn.com. In a pan large enough to hold the greens, heat the oil and sauté the garlic briefly, then add the greens. 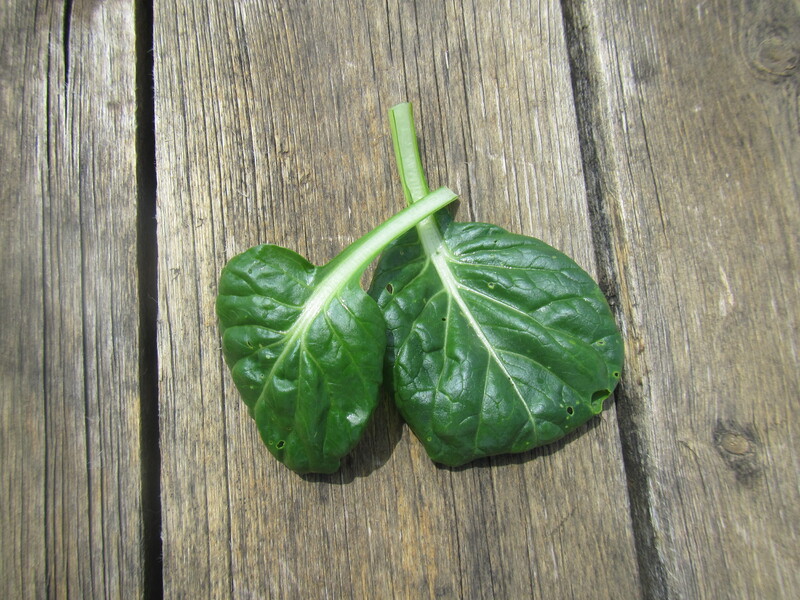 If you are using a mix of greens, add the tougher ones (like kale and collards) before the tender ones, like spinach. Cook until wilted. The time on this can range widely: for only kale, it may take many minutes, while spinach alone will only take a few seconds. If the greens start to stick, add a splash of water. Scrape the cooked greens into the blender and combine with the mushrooms and their juices, Parmesan, toasted nuts, salt and pepper, and finally, a squirt of lemon juice. If your blender has variable speeds, start slowly and increase gradually. Pur&acutee until silky smooth. Serve over cooked pasta, with meat or fish, on crackers or toasted baguette as an hors d’oeuvre, or as a spread on sandwiches. Will keep, its surface in direct contact with plastic wrap, in the refrigerator for one week.